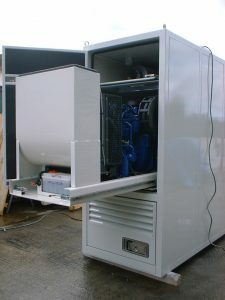 Ian Webb Engineering, founded in 1989 has established itself within the bespoke generator manufacturing industry in it’s almost 30 year history. Offering a wide range of expertise and experience, we pride ourselves in meeting our customers exact needs. With years of experience in generator hire, sale of industrial and custom generators and service of existing generators, we offer a wide range of services for a number of industries and individuals needs. Here at Ian Webb Engineering, we are dedicated to finding the most appropriate solution to your power needs, you may be looking to hire a generator for an event that you are planning. You might be someone looking to upgrade an old generator for a business or property and are having trouble finding someone to sell your old generator to or to buy a new generator from. Has your current generator been causing you issues, or not working correctly? But you aren’t looking to buy a brand new one, why not look into opening a service contract with us, and you’ll never have to worry if your generator malfunctions again.